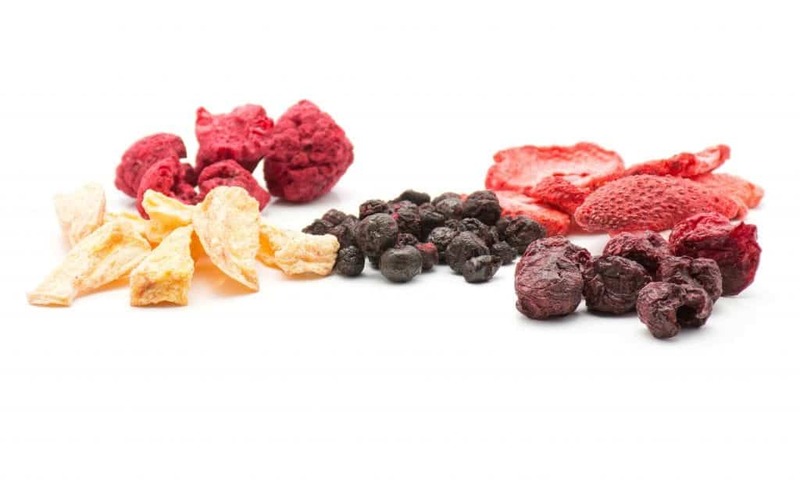 Ask a pro-pepper, and they will be quick enough to point out that food dehydration for preservation and storage is a brilliant survival strategy up your sleeves for sure. 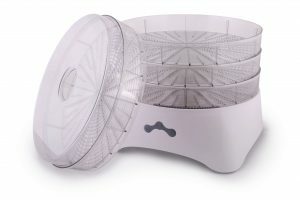 When you dehydrate your food, you enjoy the ability to preserve the food items that get perished otherwise very fast. 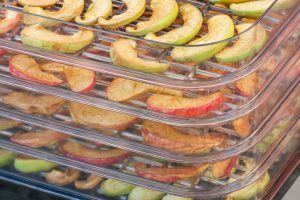 Dehydrating foods can increase your food volume and also enhance the nutritional variation and value to what has been stockpiled by you. 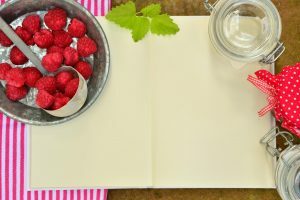 However, after reading the above lines, do not just go over the board and start dehydrating anything and everything you set your eyes upon. After all, you have to realize and appreciate that every item that is edible is not necessarily a good candidate for preservation through dehydration. 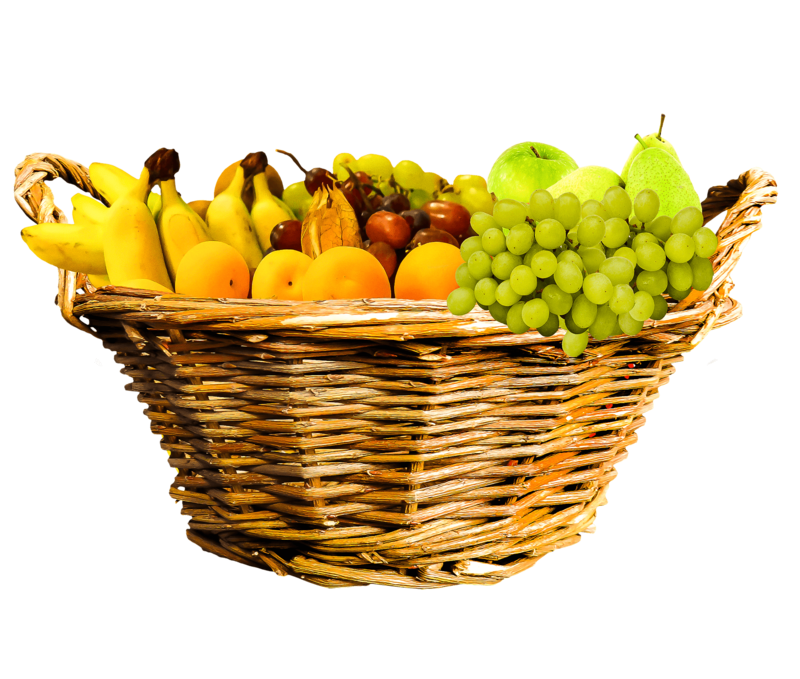 Several such food items lose nutritional values and a few even become inedible after being dehydrated. Others can make you feel ill while there are food items that may take too long to get dehydrated without giving you the necessary payoff. 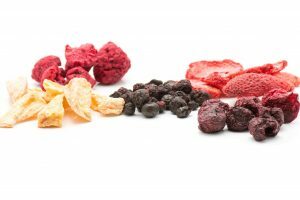 However, you need not panic as the aim of this discussion is to get you familiar with those food items you should never try to dehydrate. We will also try to offer you specific alternatives so that you can go to the right direction. Some nutritionists claim that when you dehydrate butter, it leads to Botulism. It is a disease, which is much beyond food poisoning, even leading to paralysis. Plus, butter when dehydrated may taste gross. Instead, you may purchase powdered butter. Powdered butter is a fantastic quick fix and is an ideal replacement for both bakings as well as cooking. Substitute butter can be used whenever flour is mentioned in a recipe. You can use it in bread, sauces or soups. It is also possible to use it for vegetables and meats like a basting serum. It has a shelf life of up to five years when stored in an unopened container. It is better not to dehydrate meat pieces with high-fat proportion. The fat content in such meat slices takes plenty of time to dehydrate. Plus, there are many possibilities for the meat to go rancid. 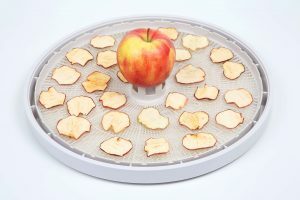 Instead, you can opt for dehydrating lean meat pieces. 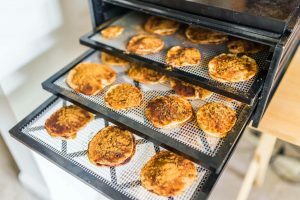 Dehydrate elk, buffalo, chicken breast and turkey as they are easy to undergo the process and also last longer as compared to their counterparts. 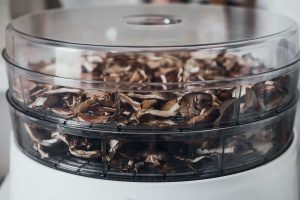 Dehydrated meat pieces can have a shelf life of up to three weeks. You can throw these meat pieces in a stroganoff, hog them like jerky or put them in a stew. Is there any point to dehydrate milk in the first place? After all, when you dehydrate the milk, most of the nutrition and the fat gets removed from it while the possibilities for growth of bacterial go up. You may even have a nagging headache due to the process, and the results could be an irritating tummy ache. Instead, get powdered whole milk from the market. The full cream milk can be converted into liquid form by just adding water into it. You will find that powdered milk can add so much refreshing flavor as well as a richness to all your meals. You can quickly add this milk to your baking, or to your tea or coffee, sauces and or even prepare instant oats. The shelf life of powdered milk can be up to five years if stored in an unopened jar. Cheese can be a real nightmare as far as its dehydrating at home is concerned. The reason is its high dairy and rich fat content. Dehydration takes a long time to complete, and its creamy dairy element makes it a likely candidate to become rancid. Instead, why not opt for gourmet powdered cheese? It is a fat-free cheese substitute, which will offer a cheddar flavor people usually crave for. However, you should know that it will not have the same protein content as natural cheese would have. To use powdered cheese, mix it with fresh cream or milk if it is available at home so that cheese sauce can be prepared readily. Alternatively, the cheese powder can be added to the baking recipe or can be sprinkled in a bowl of soup for extra flavor. Powdered cheese has a shelf life of up to five years if kept in an unopened container. 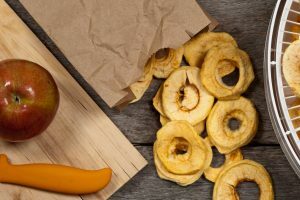 While some food items can be dehydrated when you want them to undergo the process, they may taste entirely different after completion of the procedure. When all the fats have been sucked from avocados or olives, they may feel strange, and no one would like to eat them. While such food items may not end your lives, you will neither enjoy them eating. Instead, use those olives to make delicious pickles while preparing guacamole by freezing your avocados. It will help in maintaining the consistencies and the flavors you are so fond of. To make the pickle we mentioned before, you add those olives to the salads. You can also prepare tapenades, as usual, use it as a dip or spread it on your toast. Jars of olives, when kept unopened, can remain good for a period of up to 24 months. On the other hand, frozen guacamole can be best eaten within the initial few months if you want to enjoy the best flavor. 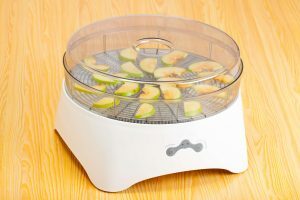 If you attempt to dehydrate the nuts, they can get deprived of their nutritional and yummy fat content. Typically, nuts also have a relatively brief shelf life, and so it makes the entire process of dehydration entirely futile. Instead, it is recommended by the nutritional experts that you should freeze the nuts to preserve their nutritional values for a more extended time. When you freeze the nuts in airtight containers, it will make sure that rodents such as larva, pests, and bugs do not come in physical contact with those tiny protein packs. Experts advise using plastic high-quality or mason jars for the freezing process. Nuts are considered as an excellent and healthy form of snack. They can also spice up your salads. Some nuts can even be mashed into a fine paste to be used in sauces and spreads. Nuts can have a shelf life of 90 days to 24 months depending on their types. 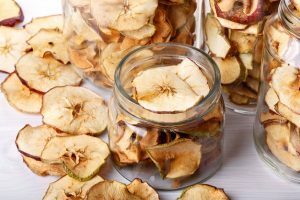 So, next time you proceed to dehydrate foods at home, keep this list in your mind.